Demolition — or reconstruction, depending on your point of view — of the Sunset Boulevard bridge over the 405 freeway began over the weekend. 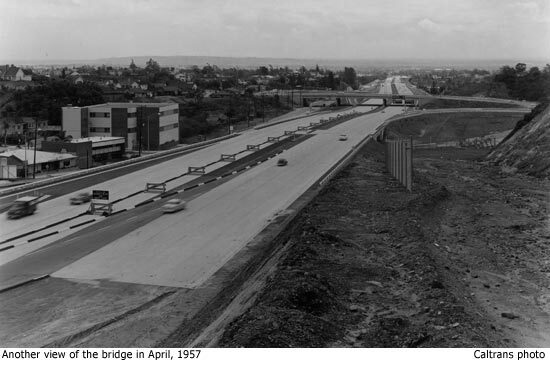 Supervisor Zev Yaroslavsky’s website has a nice story with photos of the bridge when it was shiny and new and the freeway wasn’t disguising itself as a parking lot on a daily basis. The bridge is being taken down and rebuit as part of the project to add a northbound carpool lane on the 405 between the Santa Monica and Ventura freeways. To receive road closure updates, follow the project on Twitter.